VIENNA, March 28. 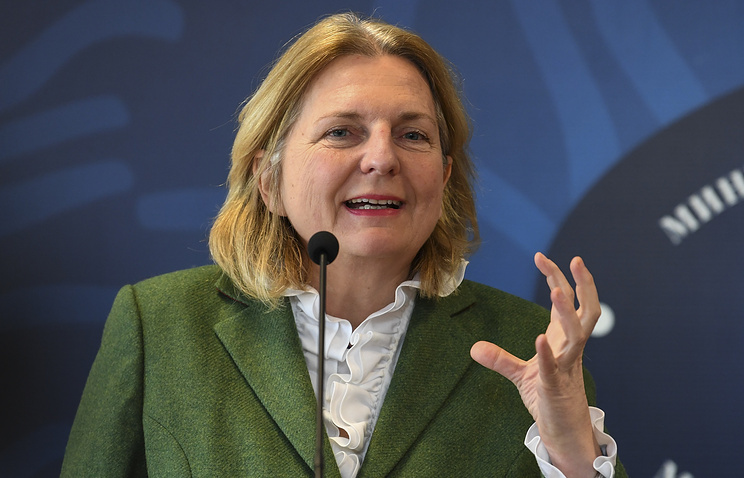 /TASS/.The UK Ambassador to Austria has repeatedly voiced his country’s official displeasure at Vienna’s refusal to expel Russian diplomats over the Skripal saga, Austrian Foreign Minister Karin Kneissl said, according to the Austria Press Agency. The Austrian top diplomat confirmed that the British ambassador had started expressing disapproval ahead of the European Union’s summit last Wednesday "to force us to take certain measures," and he reiterated his call on Saturday. According to the minister, Vienna’s refusal to expel Russian diplomats is not linked to possible Moscow’s countermeasures. Austria’s decision showed a principled position, which very rarely uses the tool of expelling diplomats, she said. "Especially during critical moments, channels should remain open," Kneissl stressed, noting that the US move to sever ties with Iran in 1980 did not yield any good result. "It hurts both sides," she stressed. Austrian Chancellor Sebastian Kurz announced on March 23 that Vienna would not expel Russian diplomats over the Skripal case as Austria sought to maintain its channels for dialogue with Russia. On March 26, Washington announced its decision to expel 60 Russian diplomats and close the Russian Consulate General in Seattle. Twenty-three European countries, along with Canada and Australia also decided to expel a total of 61 Russian diplomats. NATO reduced the number of staff members of the Russian mission from 30 to 20. 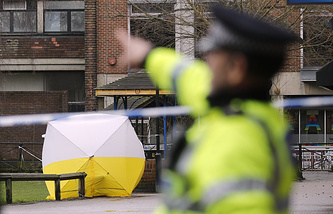 On March 4, Skripal, 66, who had been convicted in Russia of spying for Great Britain and exchanged for Russian intelligence officers, and his daughter Yulia were found unconscious on a bench near the Maltings shopping center in Salisbury, the United Kingdom. Police said they had allegedly been exposed to a toxic nerve agent. Both are in the hospital in critical condition. London immediately accused Russia of being involved, but failed to produce any evidence. UK Prime Minister Theresa May rushed to blame Russia for "unlawful use of force" against her country. She identified the alleged substance used in the attack as the so-called Novichok nerve agent, developed in the former Soviet Union. Subsequently, UK expelled 23 Russian diplomats and announced other restrictive measures against Moscow. Russia has flatly rejected these allegations pointing out that neither the Soviet Union nor Russia had any programs to develop that substance. In retaliation to the UK’s steps, 23 British diplomats were expelled, the British consulate general in the city of St. Petersburg was closed down and the British Council’s operations in Russia were terminated.